St Giles Anglican Primary school secured the top position in the recently held inaugural Hon. 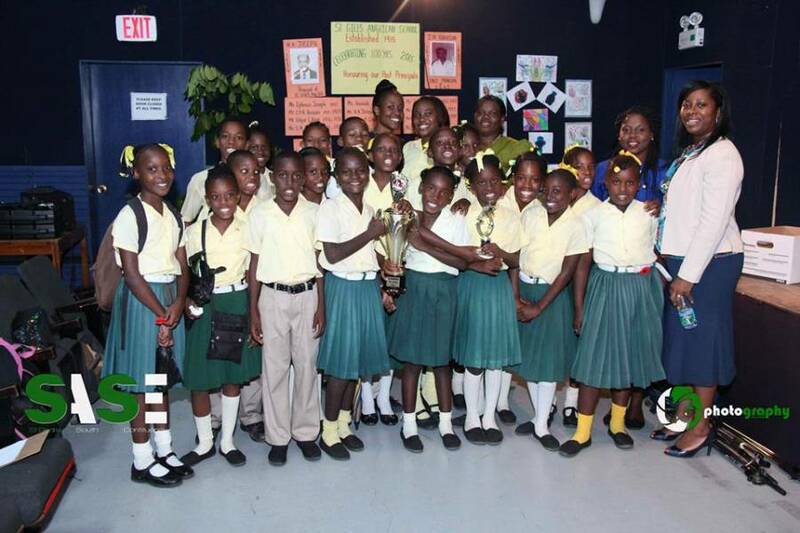 Emmalin Pierre – St. Andrew’s South East Literary Competition. The competition which targeted pupils at the primary school level took the form of a “Mini Arts Festival” which was geared towards implementing a holistic program of youth development in the constituency. The participants were from Crochu R.C, St. Giles Anglican, St. Andrew’s Methodist, St. Andrew’s Anglican Primary, and Telescope Primary. The students competed in areas of drawing, colouring, spelling Bee, projects on nutmegs, turtles, and singing. The drawing/colouring and projects were judged on 11 November, and the booths, singing and spelling bee formed the exhibition event on 12 November and were judged for creativity, accuracy, diction and overall presentation. Addressing the closing event, Pierre called for more schools in the constituency to get involved in the competition as it has the potential to establish the foundation for a better future. Crochu R.C. secured the second position, while Telescope Primary was third position. The winning schools were awarded laptop computers, 32 in. flat screen television, MP3 players, tablets, and cash prizes.